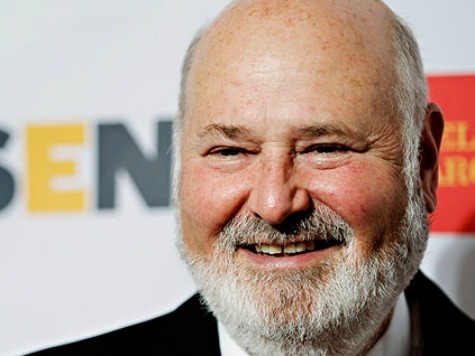 MALIBU, California — Actor/director Rob Reiner and Los Angeles Police Commission President Steve Soboroff went after each other in a fiercely contentious debate Sunday night over Measure R, an effort on the upcoming ballot to restrict the number of chain stores that can be located in new commercial developments in the city. Ironically, while Measure R will be on the ballot in Malibu for the November 4 general election, neither Soboroff nor Reiner will be able to vote on it: Reiner is a resident of Brentwood, and Soboroff lives in Pacific Palisades. The “presidential-style” debate was moderated by Los Angeles Times columnist Steve Lopez and KCAL9 reporter Dave Bryan, who opened the evening by reminding both the debaters and the capacity crowd at City Hall that L.A. County sheriff’s deputies were present if the proceedings got out of hand. That was the extent of the moderators’ assertiveness during the debate, as Reiner and Soboroff both repeatedly ignored the event ground rules and spoke directly to each other at length. “You’ve spent four hundred thousand dollars on consultants that hurt this community, hurt progress, and hurt the future of the city,” Soboroff charged. More specifically, according to the Los Angeles Times, Measure R would require Malibu voters to cast a ballot on any development project in the city over 20,000 square feet. The measure would also fix a limit on the amount of space allotted to chain stores in new commercial developments citywide, at 30%. Much of the debate focused on periphery issues surrounding the measure, such as exemptions for certain businesses, potential legal challenges, and questions about funding sources on both sides. Yet the debate often devolved into shouting matches, with Reiner and Soboroff yelling over each other to be heard while the moderators seemed content to let the heated exchanges play out. Reiner sought to defend himself from charges that he made a “backroom deal” with a shopping center chain previously aligned with Soboroff’s opposition group, while Soboroff tried his best to come across as a civic-minded entrepreneur rather than a profit-minded developer. Perhaps the most telling moment of the debate came when, at the end of a statement, Soboroff said, “I care about this community.” The remark elicited loud jeers from the crowd. By contrast, Reiner looked almost comfortable at his podium, despite raising his voice often. When the moderators asked Reiner whether the measure could be construed as “NIMBYism,” or, “not-in-my-backyard-ism,” Reiner answered directly. “Can I use [my time] to be speechless?” Soboroff replied. During the debate’s seven-minute “open exchange,” just before closing statements, the moderators again reminded the debaters that sheriff’s deputies were on hand. “Measure R protects your quality of life,” Reiner finished, to enthusiastic applause.